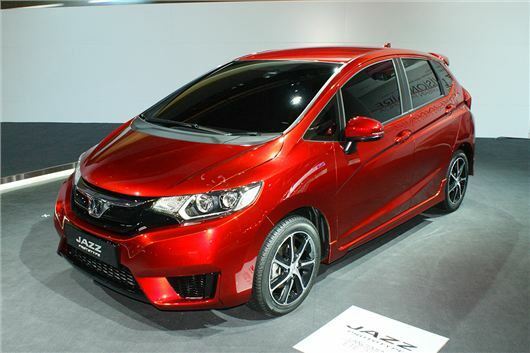 In an exclusive interview, Honda Managing Director Philip Crossman today told HJUK that the 2015 Honda Jazz for the UK will be built in Japan and not in India as had been rumoured. The new HR-V for the UK will be built in Japan or Mexico. Questioned as to why the new Jazz is late for the UK, Mr Crossman replied that falling sales in Europe and Russia, but increasing sales in other markets, had forced the company to concentrate on those other “more dynamic” markets. In the USA, for example, Honda sells 1.4 million vehicles a year. Ultimately the plan is to “globalise” Honda products, then concentrate production of single models in one factory for the entire world market. This should bring a resurgence to Honda UK, Swindon where currently one line has been shut down, but the other original line, is operating at peak capacity of 120,000 vehicles a year. The HR-V will be offered with Honda’s extremely economical 1.6 i-DTEC diesel engine and a new 1.5 litre i-VTEC petrol engine. These will be coupled with 6-speed manual transmissions, or 9-speed ZF Sachs torque converter automatics, as in the CR-V 1.6 i-DTEC. Sales of the Honda Accord in the UK will terminate in March 2015 and that model will not be replaced because the market for it is not big enough. Seems to be some confusion on the automatic gearboxes being proposed for the HR-V. Here John writes of a 9-speed ZF Automatic. Other sites are reporting that the auto 'box will be a CVT. I suppose I'd be happy with either, being thankful that the DCD isn't being offered.